ESO Supernova Exhibition — What is our cosmic home? What is our cosmic home? 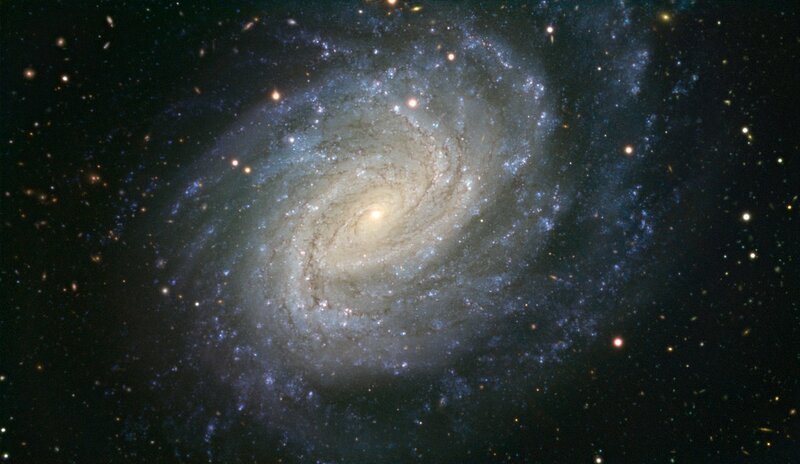 Our home galaxy, the Milky Way, is a fairly average galaxy, thought to contain several hundred billion stars. The Sun is just one of those many stars. 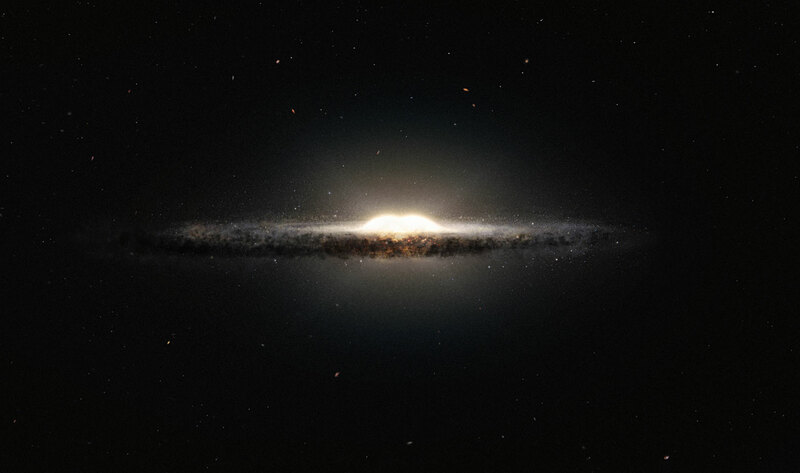 Band of beauty: The galactic disc is the most remarkable feature of the Milky Way in the sky. All the other stars we can see with the naked eye are also part of our galaxy. Peanut in profile: The peanut-shaped central bulge of our home galaxy would stand out if we could view the Milky Way edge-on (artist’s impression). Over 100 000 light-years in diameter and containing a few hundred billion stars, the Milky Way galaxy is our cosmic home. Democritus, one of the early Greek philosophers, proposed that the bright band we refer to as the Milky Way might consist of distant stars. However, it wasn’t until 1610 and Galileo’s observations with a telescope that this was proven. 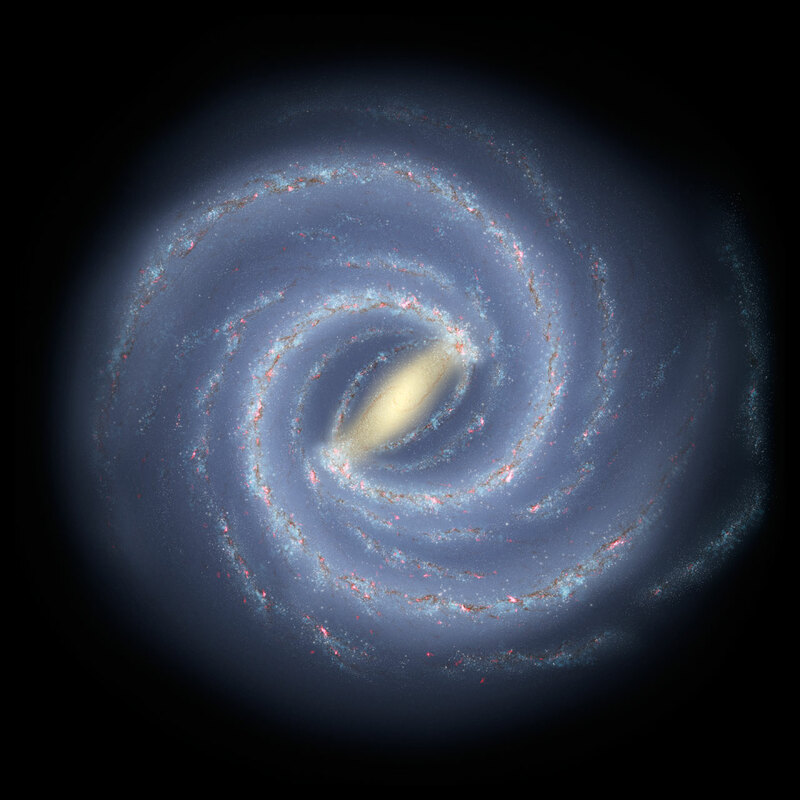 The Milky Way is a spiral galaxy. The Sun is located on the inner edge of one of its spiral arms, some 26 000 light-years from the centre. Spiral splendour: We know of several spiral arms in the Milky Way: Sagittarius, Orion, Perseus, Monoceros and TriAndromeda. The Sun is located in the suburbs of the Orion arm (artist’s impression). Distant star: NGC 1187 lies about 60 million light-years away and looks very much like our Milky Way galaxy. Munich is a big city with 1.5 million inhabitants. The Milky Way is a much bigger “galactic city”: our Sun is just one of hundreds of billions of stars!